An afterimage based on the Batman logo. Try staring at the image for 30 seconds and then switch to a light colored surface. THATS COOL BUT YOU GUYS SHOULD CHECK OUT THE MONA LISA ONE ITS SOOOOOOOOOOOOOOOOO COOL!!!! meh. Its not as cool as the other ones. The Jesus and Obama illusions, you cant see the face until youactually do the instuction.I thought with this one thatit would change to something cool, not just the actual obvious picture itself. I was disapointed. That was 30 seconds of my life that ill never get back again...4/10. its cool. all my friends from g.t thought it was awsome!!!!!!!!!!!!!!!!!!!!!!!!! dont do anything I have triyed it thousands of times how can you guys and girls see it? Is it cool or not I just want to know? um i kinda think that was boring i knda wanted someing cool like changing shap! it really wasnt as cool as the jesus and obama illusions. 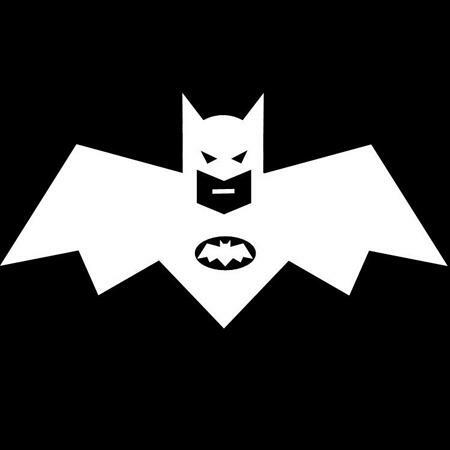 first, i saw the batman logo but shortly became flying bat..